Breaking Bad's finale was a reminder that communal TV experiences aren't over, and data suggests that technologies blamed for hurting shared viewing have actually helped it. Just a few months ago, the concept of water-cooler television—where weekly episodes become communal, must-see live events that dominate workplace conversations—had become something of an anachronism, at least to those working behind the scenes. In The New York Times’ August showrunner roundtable, Netflix’s House of Cards creator Beau Willimon declared the end of the singular, common viewing experience, which he argued had been replaced by smaller, “concentric circles” of conversation that better reflected how time-shifting technologies and on-demand options have fragmented audiences. (The rise of second-screen viewing, where audiences live-tweet Scandal, Pretty Little Liars, and more on mobile devices during the show, was said to be the new home for the collective experience.) Later that month, The Guardian excerpted a lecture from Cards' Kevin Spacey that touted the success of the Netflix original series as "kill[ing] the watercooler moment." Breaking Bad is an important exception to highlight. While appointment television and traditional viewing habits have yet to become a minority practice, AMC’s meth-making anti-hero drama, which wrapped last night, has helped restore faith in the concept of water-cooler television in the past few weeks. In a recent story that ran somewhat counter to what showrunners were saying in August, the Times reported on viewers who were binge-watching their way through past seasons of Breaking Bad specifically to take part in last night’s series finale as it happened. Salon’s Lindsay Abrams credited the availability of past seasons of Breaking Bad on Netflix, more so than social media tie-ins, with getting cable-less millennials to tune in live for once. 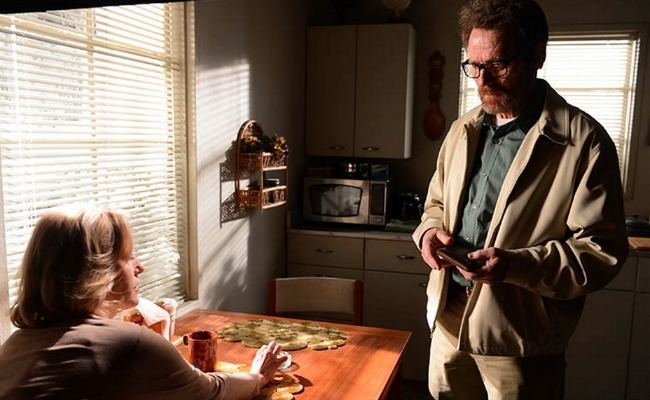 And show creator Vince Gilligan also credited Netflix with transforming the first season’s measly, cancellation-worthy audience into the 10.3 million people who watched the series’ final episode—the most-watched episode in the history of the entire series. Even with click-of-a-button access to prior seasons, of course, Breaking Bad is simply quality television programming. The show wouldn’t have been able to change the habits of on-demand viewers without its masterful storytelling. But new data suggests that Breaking Bad binge-watchers’ growing interest in watching the show as it happens, commercial breaks and all, isn’t unique to Walter White and company: Instead, the technologies that often get blamed for bringing about the end of water-cooler TV are actually encouraging all kinds of viewers to take part in television as it happens. Two years ago, cable provider Comcast partnered with Nielsen to study how on-demand programming affects viewers' watching habits. What they found, according to Comcast’s Matt Strauss, the senior vice president of digital and emerging platforms, is that catching up on past seasons through on-demand services may be an important part of making the modern iteration of water-cooler television happen in the first place. After Comcast offered the fifth season of Mad Men on-demand during its Watchathon Week, it saw a 23-percent increase in the number of Comcast households returning for Mad Men’s sixth-season premiere earlier this year. Meanwhile, non-Comcast households saw an 11-percent decline in the number of returning Mad Men viewers. For NBC's fairy-tale police procedural Grimm, keeping all of the second-season episodes available on-demand while that season aired led to 58-percent more viewers in Comcast households than non-Comcast households. Sure, determined viewers can find other ways online to catch up on their favorites, like illegal streaming sites, but the takeaway is still clear: This data suggests that the easier it is for viewers to watch what they want, when they want to watch it, the more likely it is they’ll tune in for the big event. Comcast also found that pre-linear premieres—offering the first episode of a season online weeks ahead of its live airing—hasn't seemed to cannibalize viewership or splinter interested audiences into pieces. Rather, for a majority of shows, the practice appears to be growing and developing audiences: After Comcast offered the first episode of A&E’s Bates Motel ahead of schedule, the regular premiere saw a 35-percent boost in viewers in Comcast markets as opposed to non-Comcast markets. Of all of these examples, Mad Men is probably the only show that's come as close to dominating cultural conversation in the way Breaking Bad has. But the turnout for these shows suggests that the “concentric circles” Willimon spoke of still lead to bigger conversations rather than replacing them. It's important to point out that Nielsen's ratings methodology counts programs viewed within three days of its original airing, so figured measuring live viewers still include some who tune in at their later convenience. But it’s worth noting that the services that would seem to pull us away from the living room TV during primetime—catching premieres early, marathoning past seasons in bed—actually seem to be helping some viewers find their way right back to the couch.